The Health app on iPhone is able to track steps and mileage, and if you have an Apple Watch it will keep track of your heart rate, active calories with a pedometer, and other fitness data as well. When you open Health app, the Dashboard offers an overview of activity for the day, week, month, and year, but there isn’t an obvious way to drill down and get more specifics, since tapping on an individual stat just opens the “All Recorded Data” screen which is not exactly user friendly and feels a bit like stumbling into a jumbled data entry job for SQL or an excel spreadsheet. Is this great or what? 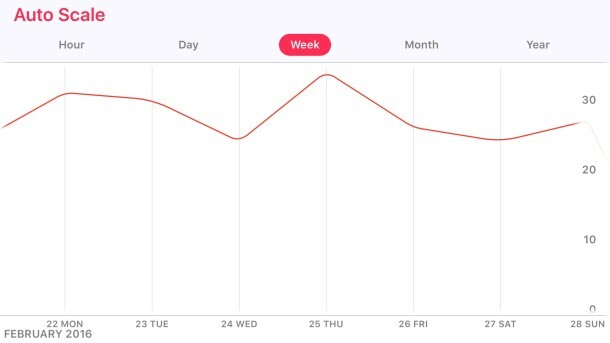 This is the type of interactive detailed graph view that many users would likely expect when tapping on the dashboard in general, but instead you must rotate the iPhone in Health app to reveal these interactive graphs. This is basically a secret feature of Health app, and I haven’t met anyone who knew it existed, much like the bonus long term performance options in Stocks app viewed by rotating that app too. Health app is undeniably useful, but it has always felt a little half-baked and not always the most user friendly. 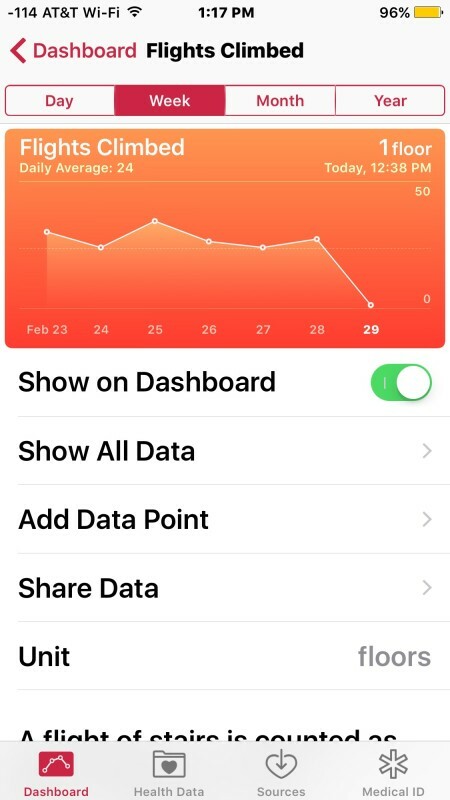 Hopefully some improvements will arrive to Health.app in the upcoming versions of iOS for iPhone, as both iPhone and Apple Watch gain further abilities and accessories to track various health and activities. Maybe even some competitive options or sharing features like what’s offered in Activity app too? Who knows, but there’s certainly a lot of potential! Cheers to Lifehacker for the discovery. I didn’t know this was there either, something so simple. Apple hides too many features with their weird user interface these days, things go missing as a result. 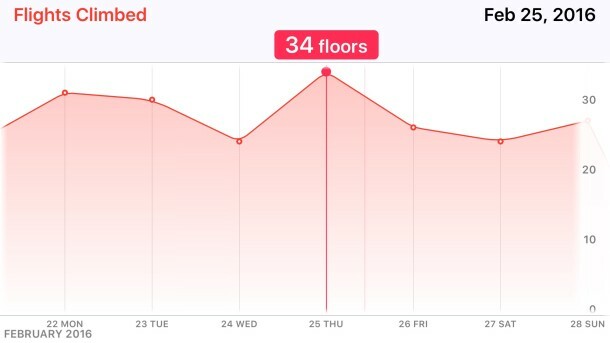 Who would think to rotate their step count to see details and a real chart? I also have no idea why the Health app data is not backed up to the cloud. I had to restore my iPhone from scratch and I lost a year of data. Health data backs up to iCloud if you backup to iCloud, or it backs up locally to iTunes if you encrypt your iTunes backups for the iPhone – you must encrypt the backup or the Health data is not backed up. By itself the data will not sync anywhere without encryption, whether that’s iCloud or iTunes with encryption, unfortunately. This is useful data so it’s a drag to lose it!